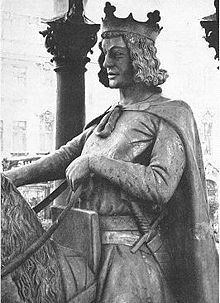 07 August 936 – Coronation of King Otto I of Germany. 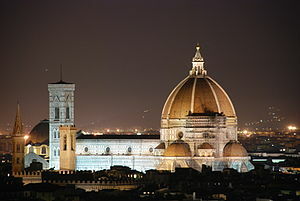 1420 – Construction of the dome of Santa Maria del Fiore begins in Florence. 1427 – The Visconti of Milan's fleet is destroyed by the Venetians on the Po River. 1514 -King Henry VIII of England concludes an independent peace treaty with France in the War of the League of Cambrai, negotiated by Thomas Wolsey.The War of the League of Cambrai, sometimes known as the War of the Holy League and by several other names,was a major conflict in the Italian Wars. 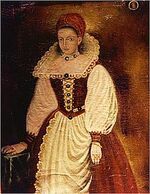 The principal participants of the war, which was fought from 1508 to 1516, were France, the Papal States and the Republic of Venice; they were joined, at various times, by nearly every significant power in Western Europe, including Spain, the Holy Roman Empire, England, Scotland, the Duchy of Milan, Florence, the Duchy of Ferrara, and Swiss mercenaries.Pope Julius II, intending to curb Venetian influence in northern Italy, had created the League of Cambrai, an anti-Venetian alliance that included, besides himself, Louis XII of France, Holy Roman Emperor Maximilian I and Ferdinand II of Aragon. Although the League was initially successful, friction between Julius and Louis caused it to collapse by 1510; Julius then allied himself with Venice against France.The Veneto–Papal alliance eventually expanded into the Holy League, which drove the French from Italy in 1512; disagreements about the division of the spoils, however, led Venice to abandon the alliance in favor of one with France. Under the leadership of Francis I, who had succeeded Louis to the throne, the French and Venetians would, through their victory at Marignano in 1515, regain the territory they had lost; the treaties of Noyon and Brussels, which ended the war the next year, would essentially return the map of Italy to the status quo of 1508. 1514-Engagement of L. d'Orleans, John de Selva, and T. Bohier, on part of Louis XII., to pay one million of gold crowns to Henry VIII. 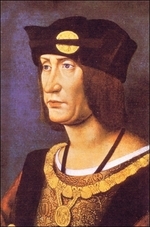 1514-Treaty of marriage between Louis XII. and the Princess Mary. In the marriage contract with the French the Pope desires that he should be mentioned with honor, as he was the first to propose it to France and England, and he desires that the former should be aware of their obligation. If the friendship between Henry VIII. and the King Catholic endure it will be easy to bridle the inconstancy of the French. The Pope is displeased that he has received no notice from England of this affair, although the French have bragged for the last eight days that the marriage has been concluded. They say the same of the treaty, which ought not to have been divulged, to make it appear that the Swiss have been abandoned by England. As to the treaty of which [Wolsey] has sent the writer a copy of the articles which he believes will be concluded, the Pope is pleased with it, but does not think it proper that the Swiss should be expressly mentioned. Sends a copy of a note received from his Holiness of points he wishes inserted. If this is done it will bind his Holiness to grant the legation, if not for life, at least in prorogation. Once again reminds him that in the marriage and treaty all regard should be had for the Pope's honour. 1574 – Birth of Robert Dudley.He was an English explorer and cartographer. In 1594, he led an expedition to the West Indies, of which he wrote an account. 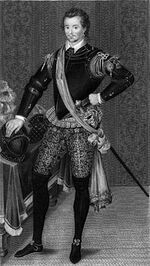 He was the illegitimate son of Robert Dudley, 1st Earl of Leicester, he inherited the bulk of the Earl's estate in accordance with his father's will, including Kenilworth Castle. 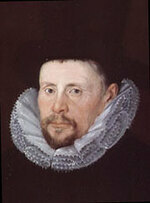 In 1603–1605 he tried unsuccessfully to establish his legitimacy in court. After that he left England forever, finding a new existence in the service of the Grand Dukes of Tuscany. There he worked as an engineer and shipbuilder and designed and published Dell'Arcano del Mare, the first maritime atlas to cover the whole world. He was also a skilled navigator and mathematician. In Italy he styled himself "Earl of Warwick and Leicester", as well as "Duke of Northumberland", a title recognized by the Emperor Ferdinand II.